Don't just measure CEO performance, help elevate it through a review process that delivers actionable feedback across nine areas of leadership. The single most valuable thing your board can do to ensure the organization’s success: Help your CEO to thrive. So, shelve that rote annual review and empower your executive with actionable feedback that leads to better performance. Boardspan’s CEO Review offers an efficient, easy-to-use framework to deliver valuable insights. It starts with transparency—ensuring that the CEO, executive team, and board members all know what to expect. 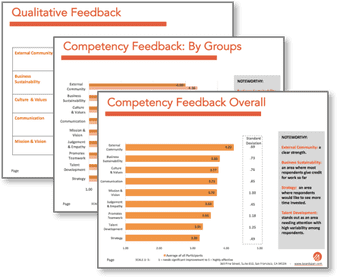 Participants offer quantitative and qualitative feedback, which is sorted by theme and presented in an objective, de-personalized, dynamic report. Boards and CEOs alike tell us that the Boardspan CEO Review provides more valuable, concrete feedback than typical reviews and removes the friction often associated with the process.